Employee share schemes have been a smart way for business owners to give their employees a financial reward and to help them feel they are part of the growth of the company. Some business owners give employees a real stake in an enterprise through owning shares. Having this kind of reward, they are giving their employees a sense of participation and a solid reason to want to see the company grow and profit. This approach can also encourage loyalty and help retain valued staff members. Company shares under an Employee Share Scheme (ESS) are generally made available to staff at no cost or at prices lower than market value. The difference between market value and what an employee pays is referred to as the “discount” and that discount is generally treated as assessable income of the employee and taxed accordingly. Future disposal of the shares and options acquired under these schemes carry the same capital gains tax (CGT) obligations as any other shares the employee might own. But there is still the general 50% CGT discount available in respect of a sale of assets held more than 12 months (although the date from which that holding period commences is deemed to be when an employee gets “absolute entitlement” to the shares; this will depend on the actual terms and conditions of the particular scheme). For a business offering, some equity-based remuneration retains the attractiveness of reducing cash outflow. There is still the employee participation factor, and for smaller businesses share schemes can even have a role to play in succession planning, where equity can accumulate to the portfolio of a particular person (although the tax deferral concession is limited to a resulting 5% ownership position). Employers may also be eligible for a tax deduction of up to $1000 per employee who participates in a business’s ESS. Employees of start-up companies paid with options and shares will not have their remuneration taxed until they can realise a benefit. This is the result of a host of changes to employee share schemes (ESS) initiated two years ago. 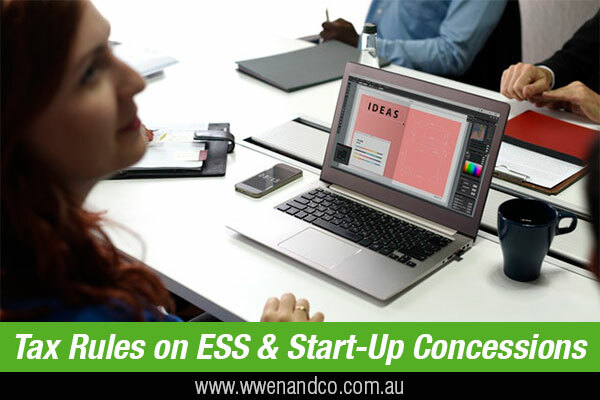 Eligible start-up companies will also be able to offer shares and options to their employees at a small discount (less than 15%), and have tax-deferred until sale (for options) or have the small discount exempt from tax (for shares). Aggregated annual turnover must not exceed %50 million. The employing company must be an Australian resident company. Employees must hold ESS Interests for at least three years. A share must be provided at a discount no greater than 15% of the market value. A right must have an exercise price (or strike price) that is greater than or equal to the market value of an ordinary share in the issuing company. Standard Employee Share Plan Offer letter (DOCX, 262KB). These standard documents are not designed to meet all the requirements of every company. The standard Plan and Offer letters have been provided in Word format so that you can download and alter to suit your particular circumstances. An ESS annual report is required to be provided to the ATO, which can only be done electronically.